I signed up for Box.net last night when they giveaway 25GB free for life for new user sign up. While the idea of cloud storage and file sharing has been around for few years, i didn’t really find them useful enough to make it as requirement in my work flow. Although there’s few closest friends of mine swears by it and even took one step ahead by utilizing cloud storage as personal music library streaming to their computers and phones. So how’s the experience looks like? To be honest, even at this moment i wasn’t certain if i’d really needed it or not. My working environment has been changed tremendously since my plan of moving cross country and stripped down even more when i sold my Pro desktop. Having a Macbook Air means i’d have to adjust few things to weigh up the workflow, and great thing about that is i can totally focus on few things that matter the most. This is my only machine and i’m not looking forward to buy another one. Maybe i’ll just expand with 27inch Apple Thunderbolt display, but that’s another story to tell. So when i read Box.net’s 25GB storage promotion, i didn’t think twice to signed up. And the bad thing is, right after i signed up, i found out there’s even better promotion i can grab for 50GB. Greed never really comes off from any human i guess. So now i got 25GB of cloud storage sitting in physical location somewhere i didn’t know, what to do about it? First of all, i didn’t really stored important data that i need to encrypt. I didn’t store any kinds of NSFW stuff, or anything that really private. Some people might double down the security, but all i need is something simple. My clients’ data however, another story to tell. Its not sensitive projects, but nevertheless i don’t really want to keep them on my Air’s SSD. So i just put things i’ve been working on laptop and move the rest over external drive that safely store somewhere in the house. I got a mini server that acting as Time Machine backup and torrent downloading. So, now i’m looking forward to expand my backup location. So i downloaded Box’s client app and install it on my Mac. It created a Box Documents folder on my home drive, which is the mirror folder that going to sync everything on it to the cloud. So the idea here, i’m going to get myself some short of online cloud backup for free. Do remind though, that Box.net comes with limitation of having 250MB file limit, which any single files that larger than 250MB won’t be uploaded. Fortunately for me, except for iPhoto Library and Movies, my music and other data can be uploaded as well. So what’s the different between cloud storage and online backup? Put simply, online backup ‘uploads’ as many files you have without limitation. Be it your storage capacity or upload limits, it will upload and keep it safe. One of online backup that i really recommend is Backblaze. They been doing this for years and for $5 per month, you get unlimited backup. But if you’re thinking to use online backup as cloud storage, then you’re wrong. Once you uploaded and you delete anything in your computer, online backup will delete it too after 30 days. Cloud storage in other story, keep revision of files. If you want to delete it, you’ll have to login into their web and delete it from there. Do note, i didn’t really test this throughly. I only test it on my iPhone and my Mac. I snapped a photo, get it uploaded and it show on my computer. I delete the photo on my iPhone, but the photo stay. Its only disappear when i delete it via web interface. So millages might be different, do your research. Plus, cloud storage will sync your data between multiple computers, which online backup did not. So if you’re using multiple machine, like desktop and laptop and would like to have identical files that you’ve been working on both machines, cloud storage will do the job. But still, i’d love having the idea of using 25GB cloud storage as my online backup. Why online backup? It is because i didn’t share my files or having multiple machines to sync. Maybe there’s a day i left my computer at home and i need an access so some files, i could easily logged in from anybody’s computer and download that file. Or maybe working on my iPhone or iPad. But the problem is, cloud storage didn’t really have the flexibility in choosing my own folders. It created its own folder and i’m locked to use that folder to sync. I didn’t want to do that. Luckily, i know one workaround that might be work. Symbolic linking. So using ln -s /Folder/to/sync, i pointed out as many folders i want to backup into Box Documents folder without having to move that folders around. I used this method before to point out my home folder from raid array, and it works just fine. Unfortunately for me, it didn’t work. So i searched their knowledge based and learned their client app didn’t support symbolic linking. What a waste. So i deleted the account and left the message why i’m leaving. After a bit of research, i signed up for Dropbox because i read positive feedbacks about its work with symbolic linking. 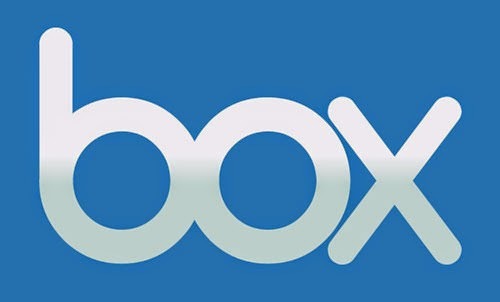 While Box.net much more popular among enterprises, Dropbox sits in consumer really well. 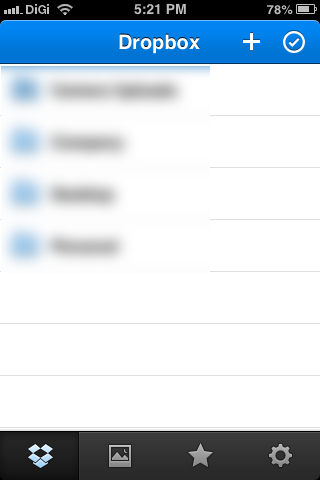 While Dropbox only offer 2GB for free sign up, and increasable to 18GB if you refer it to someone’s else, it didn’t have any limitation to upload files. That mean, if my iPhoto Library didn’t exceed 2GB, i could have it uploaded as well. That explain why i got so many invitation from friends to sign up for Dropbox. 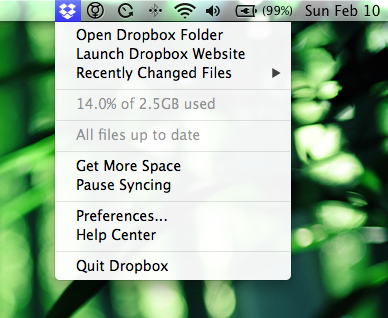 Another thing that i like about Dropbox is the web interface. Its just clean and simple to navigate compare to Box. I didn’t test the speed of downloading and uploading, but its not really something that i concern as long as you have faster connection without bandwidth quota. So after removing Box’s app, i downloaded and installed Dropbox’s app. And its a pleasant to see symbolic linking works. It managed to backup all folders i pointed out, and i can view it on Dropbox’s website and Photos from my iPhone will be sync to my Desktop as well into Dropbox’s folder. Do keep in mind for photos to be sync, you’ll need to run the Dropbox app on iPhone. This isn’t iCloud. The advantage of that is you’d save up your bandwidth and battery. I got extra 500MB by linking my iPhone. Although 2.5GB seems really small, but i can adjust myself to suit the limit. You can’t complain when its free. Plus i got my whole data backup to Time Machine server, so there’s nothing really to worry about. I haven’t really experience any real life usage yet as i didn’t need to access my files on the go. But knowing that i can access it from anywhere else and i got multiple copies somewhere in the cloud and my own server’s award me another peace of mind. Cloud storage won’t replace online backup, but if you can adjust yourself to fills the drawback, then its worth your time. Especially when you didn’t have any backup at all. No, storing on another partition or drive D: didn’t count as backup as long as its on the same drive. You might not need it, but if you have bandwidth to spare, i’d recommend to sign for it. Its free, after all. So its good for students. You can even share your files on folder with colleague, which is kinda handy especially when it comes to group assignments. But do keep in mind not to share everything - or you’ll ended up having your personal data open in view for public to access. I’m looking forward to sign up for Box’s again as soon as they supports symbolic linking or ability to choose my own folders. Until then, i’d just keep everything in my mini server.